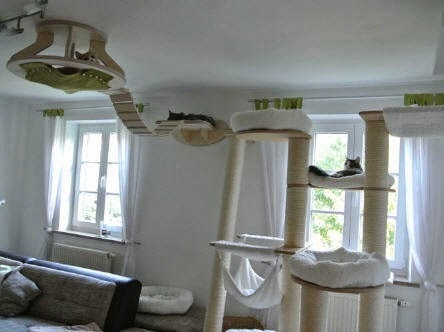 How much do you love your cat as to buy him/her a furniture from Goldtatze? 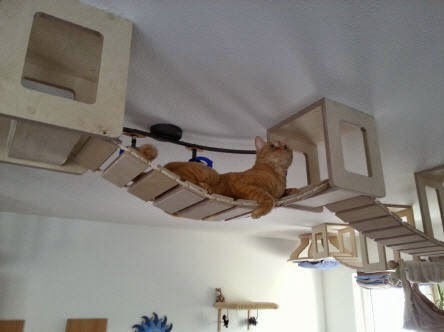 Goldtatze (Gold Paw) is a German company that creates ceiling-window-wall furniture for your felines. 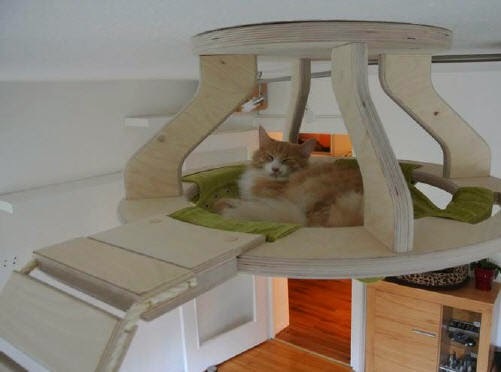 These are not just ordinary cat furniture mind you, these are made to give a heavenly home to your cat and give owners more free space.